The trees are in bud, green leaves are unfurling, robins are here, but winter is hanging on in the high country. People are skiing big lines, the last of the winter ice climbs are weeping from the rock walls and collapsing in jumbles or broken blue blocks. I've been scheming with my Salt Lake City buddies, Blitz and Billy, to get some alpine climbing in before winter left. We dreamed of the Emperor Face on Mt. Robson, the boys got the time, arranged the flights. The weather man convinced me that we'd only be given time enough for Mt. Temple. Editor's note: Patagonia ambassador Barry Blanchard shares a tale today from his home base in the Canadian Rockies. If there was ever an example of a Rad Dad it's this man. Barry offers exceptional guiding services when he's not writing, spending time with his beautiful family or climbing personal objectives while testing Patagonia gear. If you're planning a trip north of the border be sure and hit Barry up for a day or two in the mountains. This story first appeared on Barry's blog. I'd attempted the Sphinx Face, in winter, four times in the past. Twice in the '80s: initially (before it was a route) with Wink Barron; the next go round, Carlos Buhler and I made it to the huge traverse ledge, 300 feet below the Black Towers, over three days but we tried the wrong line (read too steep and hard) and escaped by traversing said ledge all the way around to the Aemmer Coulior, and down that. I went back once in the '90s by myself, but chickened out 3,000 feet up, at the base of the hard climbing. Too hard for me, I was just not as hard as I thought I could be. Steve House and I returned in this century and he blasted up that first hard pitch, then a blizzard softened both of us to putty and we went down. Friday, May 14th, 2010. Blitz and Billy showed up in Canmore at 11 pm, I got up and made coffee at 3 am. We sorted and packed for two hours, then motored west to Temple. Blitz blitzed out of the parking lot first. Billy and I talked climbing gear (something he designs), and lagged behind. Two hours later I finally saw Temple – in the wrong place – and concluded that we'd skied up the Morraine Lake highline trail, the wrong trail. Extra training I guess. Being lost cost us three hours. We eventually got ourselves into Paradise Valley and I was relieved to be skiing most of the time and stepping over snowless patches infrequently. At noon we met three young guys from Calgary who had skied the Aemmer Couloir after a 4 am start. They reported good conditions and were tingling with psyche, said that they were thinking of continuing on to the back of Lake Louise to do some rock climbing. "Those lads should go drink some beer." Blitz observed as they skied away. We slogged on under heavy packs and blue skies. I cooked in camp while Billy and Blitz walked over to the Sphinx and fixed our ropes on the 30 meter high quartzite step that starts the route. My watch went off at 4 am. We were ascending the fixed ropes by 6. Yesterday's seeping water had just then frozen and the first 1,500 feet of step kicking felt damp. At about the 9,000 foot level the snow dried out, we'd crossed back into winter. Billy took the first hard pitch, 2 hours. Blitz took the next two, the second of which was a tight crux chimney, more hours. Billy and I wisely took shelter out of the chimney and cowered from numerous bombardments of rock fall that Blitz shed while fighting his way up. I think that the route may have been safer, and funner, in the seasons when there was more snowfall (more spindrift compacted snow to weld it all together? ), but those seasons are retreating into the deep recesses of my ever deepening memory … As it was, Billy and I felt fortunate not to have been hit. "If the Genie could grant me one wish it would be that the Canadian Rockies were made out of granite," commented Billy. Late in the day I traversed to the right on the big ledge that had taken Carlos and I to the Aemmer 25 years ago. I didn't go as far as Ward Robinson and Rob Orvig had when they had finished the route that decade. I launched up another hard and slow piece of climbing. Darkness shut us down 25 meters higher. We didn't want to shiver until dawn and opted to rappel by headlamp, then, to stay warm, by downclimbing the snow with our uptrack to guide us through the night. We got back to the tent at 4 am. My watch's alarm shrieked for the second time in 24 hours. We crawled into the tent and the boys finally got some sleep. The ski out Monday morning was beautiful, but looking back to the Sphinx I locked into my memory the fact that so much of the climbing had been horribly loose and dangerous. I skied out knowing that I won't be making a sixth attempt. The sphinx is done for me. I plodded towards the truck, and a good feed in Lake Louise. It always feels good when you quit banging your head against the wall. Barry Blanchard has looged nearly 3,000 days as a guide and instructor. 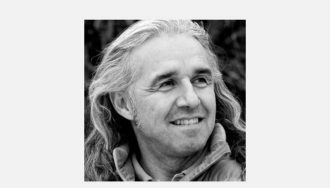 He is a fully certified international Mountain Guide, IFMGA/UIAGM, (the International Federation of Mountain Guiding Associations) as well as a member of the Association of Canadian Mountain Guides (ACMG) since 1983. He is also a professional member of the Canadian Avalanche Association. 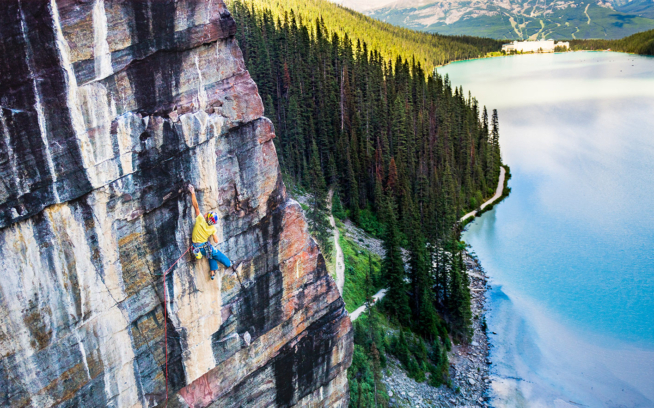 "I’ve had a lifelong love affair with the Canadian Rockies," says Barry. "This range is in my blood and it’s a privilege for me to guide people rock climbing, ice climbing, ski touring, and mountaineering here. The Canadian Rockies are one of the great mountain ranges of the world and I invite you to come and experience them – these mountains are a gift!"